A number of comics based on The Simpsons created by Bongo Comics Group have been published in Portugal; These are published by Goody. On May 9, 2015 officially by Goody publisher: the Simpsons Comics is over. Issue 13, already on sale, this is the last (short) Portuguese adventure stories of most famous family of television. The now confirmed outcome is not surprising as the indicators in this direction had come to multiply: the successive decrease in circulation (only 9000 copies of issue 12, compared to 20,000 of issue 1); reducing the number of pages (64 to 56) without change of price; the lower quality of the paper, some printing problems and or sale in packs of the first numbers at reduced prices. Lacked the confirmation by Goody, "we cannot continue to ensure this project in a balanced manner for both our readers and for the Goody team." With the thirteenth issue of the comic, which concludes (only) one year of issues it was the request of the publisher readers to remain attentive to the "current projects and the future that they are designing for it is there philosophy seek to innovate and surprise the community is after all their real reason to exist. " In a remake of the Simpsons Comics title and sets it to the current market requirements. 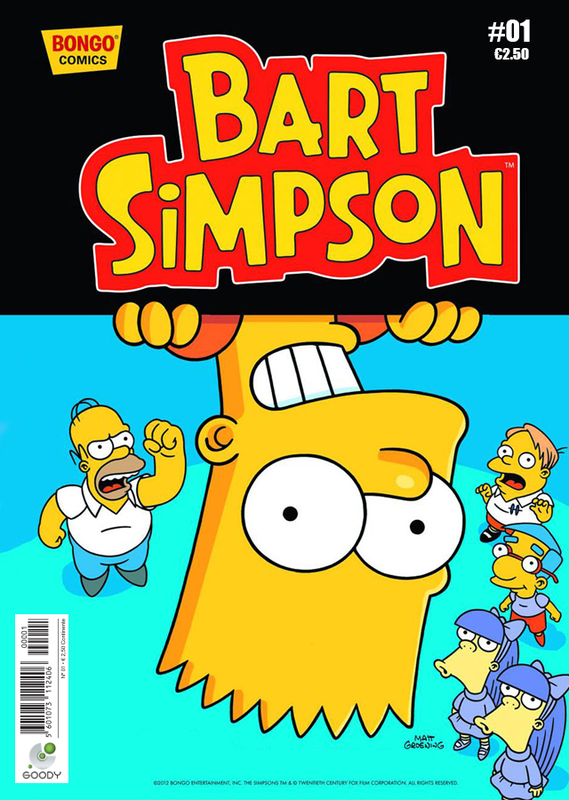 Therefore, this new edition comes with a new title (Bart Simpson), now has even more pages (130) and a new format, and for only 2.50€, But came to an end just after the first issue. Simpsons Comics 13 April 30, 2014 May 9, 2015 The main series based on the US Simpsons Comics and Bart Simpson Comics. Modified on February 27, 2018, at 14:25.